Informal class on how to use a CNC router. Come by anytime from 12:00 to 2:00 and I can give you a demo on how to use the CAM software, setup the router, and create parts made out of wood or plastic. 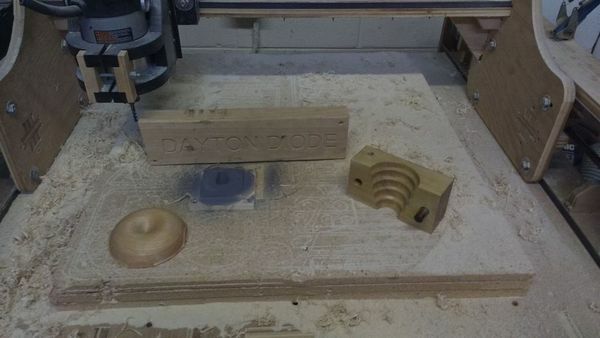 We will be making drink coasters with the Dayton Diode Logo.